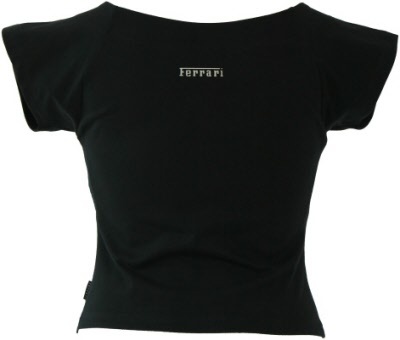 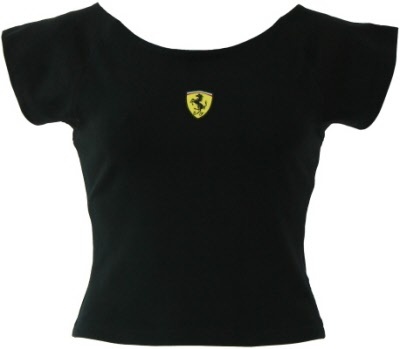 Black Ferrari Ladies Top Off Shoulder Model with Ferrari Shield Logo. Soft contoured neck line short sleeve top in Cotton / Elastane. Ferrari racing shield badge to center chest, Ferrari to back neck and Ferrari branded side seam label.